Flavia Rainforest Alliance with the increasing importance of sustainability across the globe, FLAVIA have been working with the Rainforest Alliance to source some of our finest ingredients from Rainforest Alliance Certified farms. 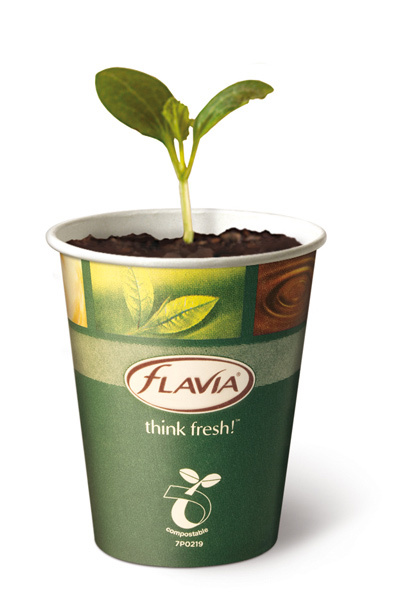 Now at least 30% of our FLAVIA English Breakfast fresh tea leaves are sourced from Rainforest Alliance Certified farms. Flavia have been working with the Rainforest Alliance to source coffee beans from certified farmers. To be able to certify our coffees with the Rainforest alliance green frog logo, at least 30% of the beans need to be sourced from these farms. 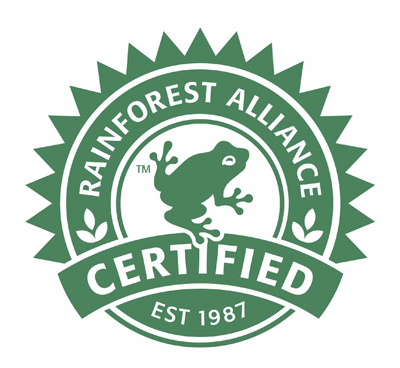 Rainforest Alliance Certification encourages more sustainable farming practices, helping farmers to reduce their costs, improve their crops and earn a better living from their land. In addition, farm workers, and their families, benefit from better conditions, decent housing and access to medical care and education. And the environment is protected too. PG Tips made friends with Rainforest Alliance. This means that the tea in our KLIX PG tea bags is grown using sustainable farming methods, and the workers who picked it earn a decent living and have good working conditions. At least 50% of their tea already comes from the Rainforest Alliance Certified farms. They are working towards being fully certified by 2010.